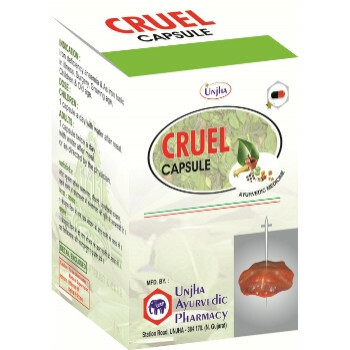 Cruel is a complex ayurvedic medicine, which is a highly efficient rasayana. It fills organism with energy, increases stamina and vitality, fights such states as cancer and tuberculosis. 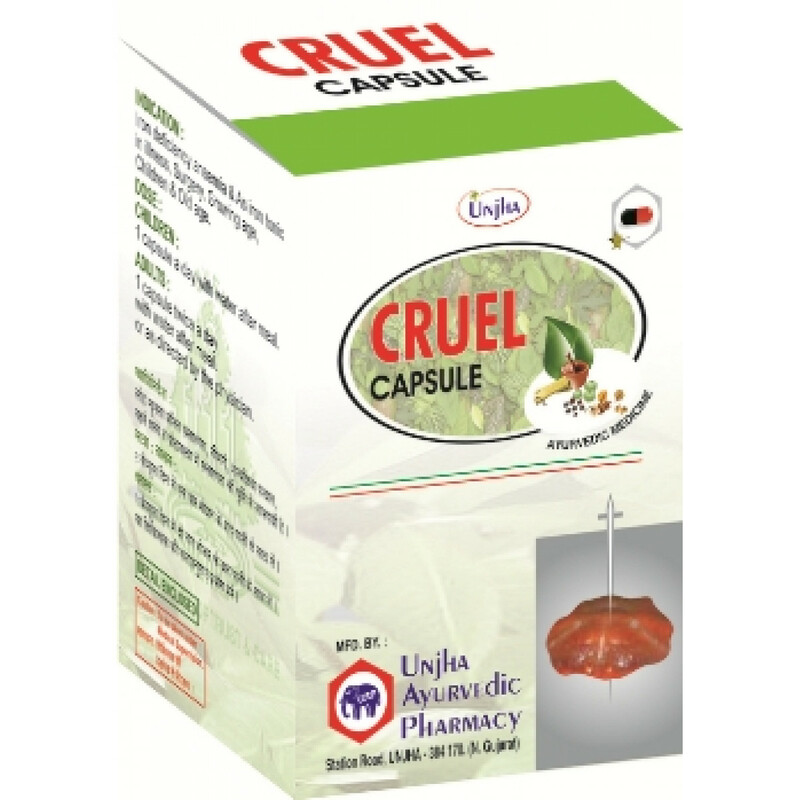 Cruel is helpful in bone diseases and anemia, it stimulates bone marrow and regeneration of all the tissues. Hira Bhasma (diamond ash) – it is a powerful tonic, aphrodisiac, antitoxic and nourishing medicine. It boosts strength, sexual power, increases Ojas. Suvarna Bhasma: 3,6ml –gold ashes. It purifies blood and has powerful antioxidant properties. Ras Sindur No 1: 14,4ml –red mercury sulfide. It is a general tonic. It has a positive harmonizing impact on the whole body. Ras Karpur: 14.4 ml – Mercury Calomel. It cures liver cirrhosis and syphilis, and it is a good general tonic. Tampa Bhasma: 27,6ml –cooper ash. It is a spasmolytic and a sedative. Swet Mirch: 42ml. It cures all types of fever and recurrent diseases. Dolgo (Lavanga) – Lugenial Caruophyllata. It stimulates circulation and digestion. Also it has carminative and spasmolytic activity. Abhrak Bhasma: 17ml – mica ash. It is a tridosha and an excellent general tonic. It is helpful in all kinds of illnesses. Panna Bhasma: 0,5ml- it is a general tonic and fights tuberculosis and cancer. Indications: oncology, low general tonus, chronic diseases, recovery period after long time sickness.